Grace Lutheran began with a request in the early 1920's for ministry in the community of Fairbury. In the fall of 1923, Pastor Korbitz began a survey of need that culminated in the formation of a congregation in 1923 and the construction of the first chapel in was completed on the lost south of the current location in 1924. The growth of the congregation led to the construction of the sanctuary of our current facilities dedicated in 1950. The dual parish of Trinity Gladsone and Trinity Gilead disbanded in 1965 and 72 members of those congregations joined Grace and the cemetery of Trinity which is now Grace Lutheran Cemetery west of Gladstone became part of the facilties of Grace Lutheran Church. With the ongoing emphasis on education, the current north wing was added in 1967. In the 1970's the weekly radio live broadcast of the 8:30 service was added and our current pipe organ was installed in 1978 in the commitment to quality worship services. Through worship, education and service opportunities, Grace is a vibrant congregation of believers gathered around Word and Sacrament. Grace is closely tied to our sister congregation of Trinity Lutheran Church of Jansen. Sunday services are conducted at Trinity at 8:00a.m. with Pastor Meyer as liturgist and preacher. For all other services and questions about Trinity, please call 402-729-5163. We are also closely tied to our sister congregations of the Lutheran Church-Missouri Synod. With the universal Christian Church, The Lutheran Church—Missouri Synod teaches and responds to the love of the Triune God: the Father, creator of all that exists; Jesus Christ, the Son, who became human to suffer and die for the sins of all human beings and to rise to life again in the ultimate victory over death and Satan; and the Holy Spirit, who creates faith through God's Word and Sacraments. As we together come up with our answers to these and similar questions, we will be preparing ourselves to be able to put together the materials and information that we need to ask our district president for his assistance in the process of calling our next resident pastor. I am here to not only be your pastor (in this interim time) but to also help you prepare for the calling of your new resident pastor whom we hope to see and welcome sometime during 2019-2020 (as God leads and directs). For us to call a pastor, we need to have a good grasp of who we are and our purpose and vision for the future work of God’s kingdom in this time and place. Also that we can have a good sense of what we are looking for in gifts & experiences in our next pastor AND that we may call and invite him and his family to come JOIN us in the work that God has given us to do, work that we are ALREADY doing. I like to describe my work as similar to John the Baptist in this way, “I must decrease but our anticipation and willingness to receive and welcome the new pastor must increase.” God-willing, I will be here as your pastor up until the time we hear that your next pastor has accepted your call. But we will see. All will be in God’s time. As we go forward, building on the solid teaching, practices and foundations that are already in place, it will of course be tempting to try to maintain and recreate all the wonderful times of the past. But those times were then, our setting and community is different now. Yes, I am certain that we will have some wonderful times and experiences which may be similar to times of old. We may also have brand new and totally unexpected ones. The main thing will always be Jesus and His Word. We will listen to Jesus and His Word as we are fed and nurtured through the power of the Holy Spirit at work through God’s means of grace. We will continue to reach out to our community with the love and promises of Jesus. We will listen and observe as to the needs around us, and with our gifts and talents seek to be part of God’s answer to some of those needs. Where God leads, we will and must follow! Truly God has lavished His grace and mercy upon the people of Grace Lutheran throughout her history of living and proclaiming the Gospel of Jesus. Though we, as God’s people, can be very different from one another, we will continue to thank God for one another and keep one another in our prayers. God is good, all the time! In anything good that takes place, always to God will be all the glory! 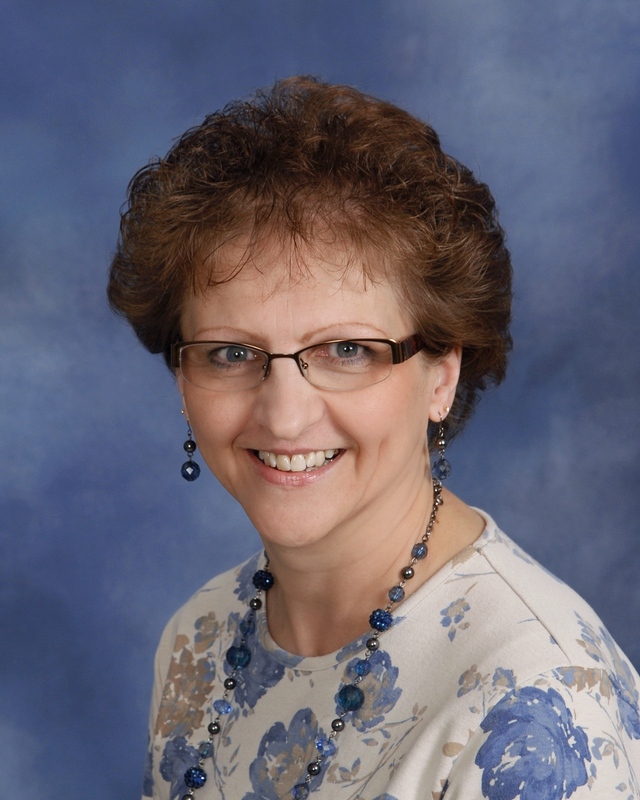 Lynne Blackwell has served Grace as Secretary/Treasurer since 2002. She serves Grace as Office Secretary responsible for schedules, publications, membership records, and receptionist. She also serves as congregational treasurer responsible for record keeping, deposit records and disbursements of funds. She comes to Grace having served the community in Office Business and Legal management and also Financial institutional work.